Replacing the classic YFL-211/YFL-271 family the NEW Yamaha YFL-272 takes 35 years of Yamaha flute quality and improves it for the next generation of beginner flutes. Always highly regarded by teachers and players alike as the no.1 beginner flute the Yamaha YFL-211/271 was a classic. So, now we welcome the YFL-272 which carries on from the 271 shell and adds a few improvements to make the instrument even easier to play, even more reliable and even more fantastic for any new or advancing player, young or old. This YFL-272 is the open hole model, with a silver plated head, body and key work. Pointed Key Arms: Otherwise known as 'French' pointed key arms the new YFL-272 now features the same key mechanism design as some of the more expensive Yamaha models. The addition of the pointed key arm makes these keys more sturdy and even in how the pad underneath closes. This means the flute can play more easily and that pad wear is more evenly spread and reduced. 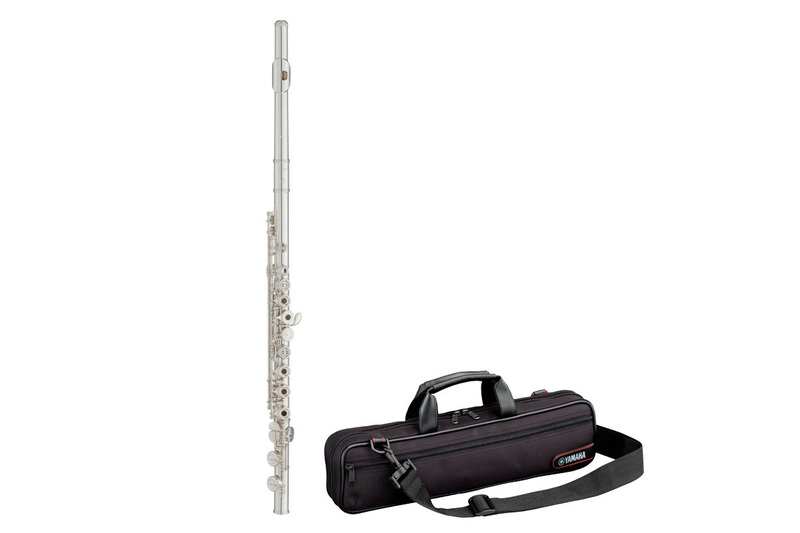 Hard Carrying Case: Commonly the Yamaha YFL-272 user will be a new player, sometimes this will be a youngster and so Yamaha have introduced a new hard carrying case with handle for this beginner flute to keep it safe and protected.